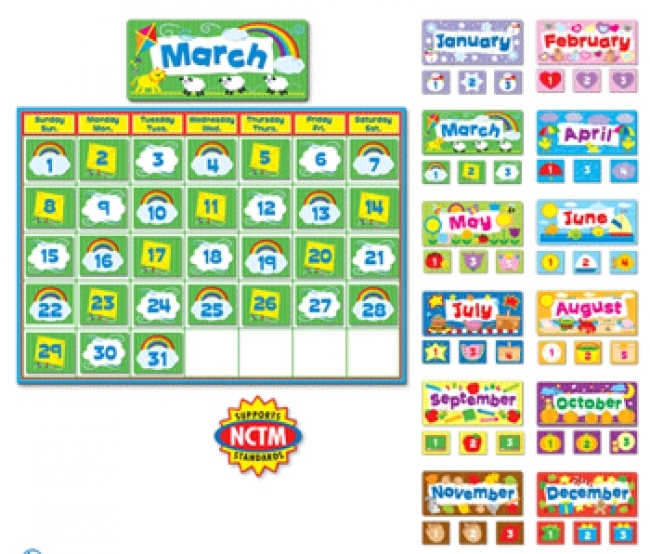 1 calendar, 12 headers, 402 calendar cover-ups - Grades PK - 8 Included are a 24" x 17" calendar, 12 monthly headers, 12 sets of patterning calendar cover-ups, and a resource guide. Supports NCTM standards. Fresh new look for our popular and versatile two-sided Calendar Cover-ups: Plump turkey on one side and an autumn leaf on the other side set on a background of fall hues. Each pack comes with 36 cards with coordinating designs on both sides. Includes 33 numbered two-sided cards, and 3 bonus blank cards. The size of these cards will fit any standard classroom calendar. These sturdy cards can also be used for sorting activities, game pieces, creating number lines, math lessons, and so much more! Many designs and colors to choose from to fit any classroom theme. 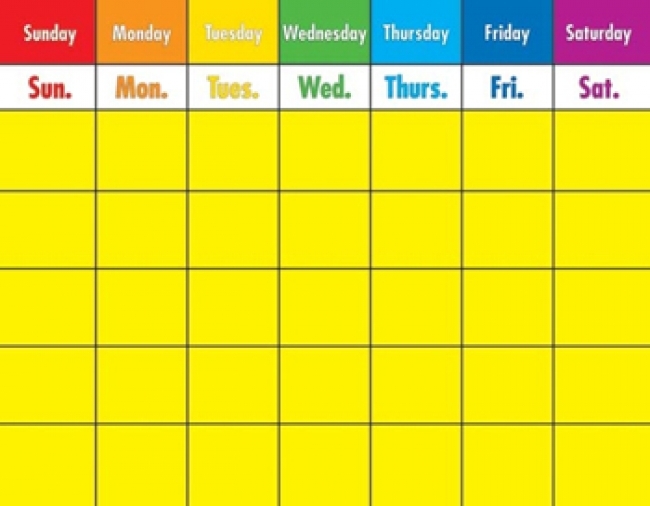 Add style to any calendar display with this modern calendar poster chart. Chart measures 28 1/2" x 22 1/4"